Troubleshooting has been a key problem-solving technique used by technical support teams and agents for ages. For every type of product or service in existence, there are countless types of issues that can potentially occur; troubleshooting aims to help narrow down what that problem could be for each customer, based on other contextual factors. Zingtree makes it easy to build custom, interactive troubleshooters for tech support that are simple and straightforward enough for anyone to use and understand. When YouMail, the leading provider of visual voicemail, realized that they needed to resolve their support inquiries more quickly, they looked to automated troubleshooters to help. Using a clever mix of our interactive troubleshooters and YouMail’s own technical support staff, the company was able to amp up their customer support efforts, and assist customers in a wider range of questions and issues – all while saving money. Here’s how our interactive troubleshooters have allowed YouMail and other companies to streamline their tech support departments. 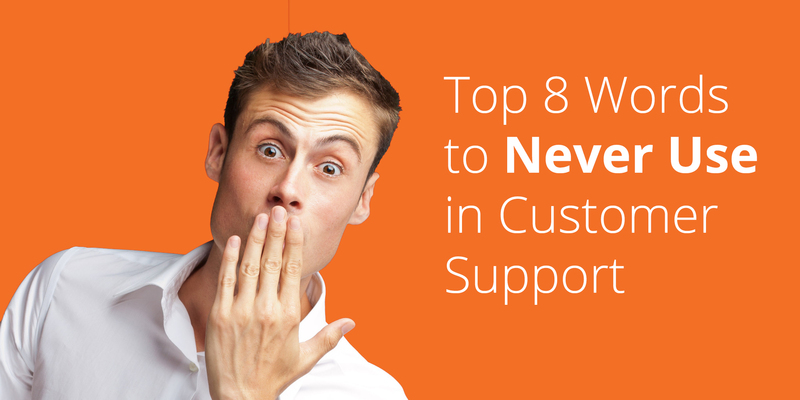 While traditional methods of customer support are still in practice today, the vast majority of customers (72%, in fact) prefer to use self-service support options before reaching out to a live agent to resolve their issue. Turning a complex interaction into a simple click-click-click provides an easy-to-digest platform for people to find solutions all on their own, at any time or place. Offering these types of avenues for customers to find answers, understand technical processes, and troubleshoot problems, will greatly improve how you serve your customers, and, in turn, how they will feel about your company. Information is always easier to follow and retain when you’re being gently guided through bite-sized pieces of information. Interactive decision tree troubleshooters are a more user-friendly way than traditional troubleshooting methods to guide people through a series of in an interview-style way, which helps to keep the process moving along and customers more engaged with the information being presented. You can even add customizations and visuals like GIFs, videos, and photos to help display information in a more fun and engaging way. Effective technical support strategies should integrate every method and means of customer communications in a centralized way. For most companies, this means having a built up knowledge base, FAQ, and live support that can share information with one another seamlessly. 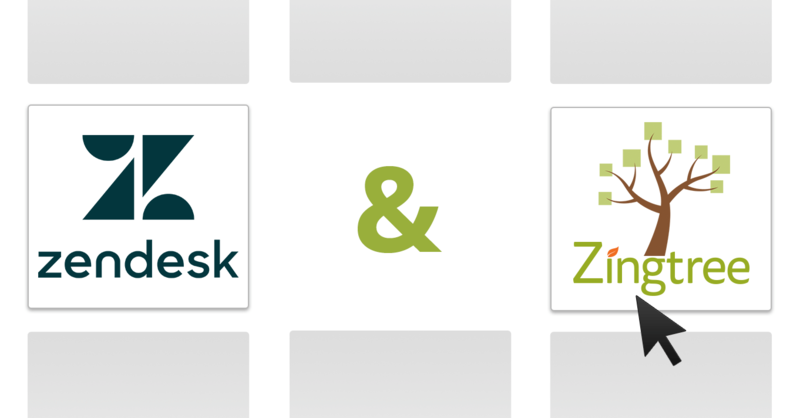 Zingtree troubleshooters Integrate directly with Salesforce, Freshdesk, and any other CRM platform, making it easy to pass along proper information from the troubleshooter straight to an agent. 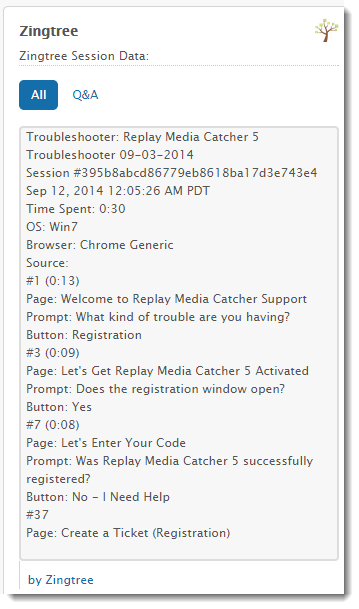 If the troubleshooter doesn’t solve the problem, the entire Q&A session history is sent to you, or imported into your CRM, saving tech support from a lot of back-and-forths. With built-in, real-time analytics and powerful usage reports, businesses can view the direct impact of their interactive troubleshooters for tech support. Performance/Results Report: see how your help system is performing. Session List Report: see all the different customer sessions during a date range, and easily click for more details such as what parts of your troubleshooter they visited, their node-to-node path, and for how long they stayed on each node/question. Traffic Map Report: quickly access a complete view of the content in your decision tree nodes, as well as a breakdown of the traffic to each, shown in both number of clicks and percentage of total traffic. 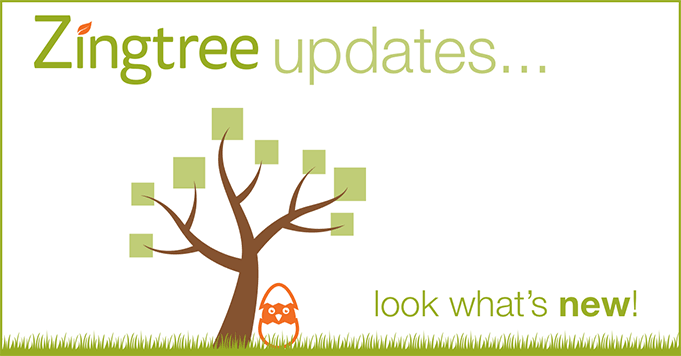 To get your troubleshooter up and running as quickly as possible, we recommend using the Zingtree Wizard tool. Companies that integrate Zingtree troubleshooters into their customer support processes have seen a 20% reduction in technical support costs on average, as well as improvements in the overall volume of incoming tickets. 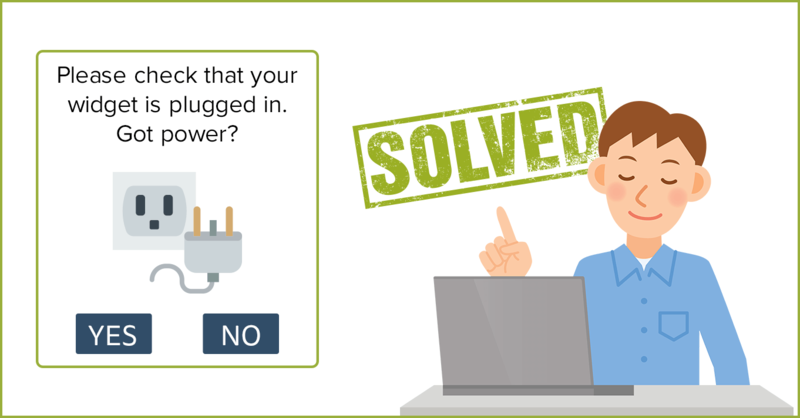 Get started with an interactive troubleshooter, check out our Gallery for more inspiration, or reach out to us with any questions!